The leaders of Telford & Wrekin Council and Shropshire Council have met Health Secretary Jeremy Hunt MP in London to express their concern at the ‘disarray’ in Shropshire’s local NHS. At the meeting, organised by Mark Pritchard MP, Councillor Shaun Davies and Councillor Malcolm Pate stressed the risks it poses to the community and the serious shortcomings in an overarching plan (called the Sustainability and Transformation Plan, or STP) to transform and make financially viable NHS healthcare across Telford and Wrekin and Shropshire. The STP was published before Christmas and drew heavy criticism from both Council leaders and NHS England for focussing too much on changing emergency hospital services and not addressing community-based care and keeping people out of hospital. At the meeting, the decision-making process, called ‘Future Fit’ that led to the recommended siting of the county’s one A&E department and the Women and Children’s Centre was also outlined to the Secretary of State. Mr Hunt was told by those present that after three years and £3m, Future Fit was a “process that had undermined public confidence and credibility” and, in respect of the recommendation to move the £28m Women and Children’s Centre two years after it opened, “financial madness”. Councillor Davies explained the need for an independent review and suggested to Mr Hunt that maybe he appoint an independent expert to make the decision but that in the meantime he ensures that both A&E departments are kept open. Mr Hunt responded saying he found the Future Fit process “incredibly disappointing”, that there will be a “rigorous” assessment of the STP and, referring to Telford & Wrekin Council’s earlier warnings of the possibility of taking the case to Judicial Review, that any such calls should be made to him. 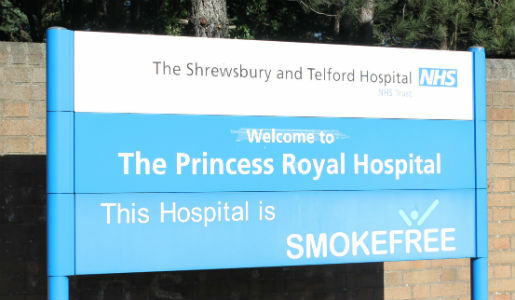 After the meeting, which lasted less than half an hour, Cllr Davies said: "Frustratingly, there were no assurances of keeping both A&Es open, no assurances in respect of further investment in adult social care, but a promise that he will review Future Fit and the STP process objectively and that we need to make the case through our MPs to make sure he understands the flawed process that we have. "It is quite clear that the situation is untenable for local health leaders and they need to reflect on their own positions in charge of the STP process and Future Fit, to ensure that confidence locally is restored. We need an independent review of processes, an independent assessment of where we are as a local health economy to ensure that we have fairness."